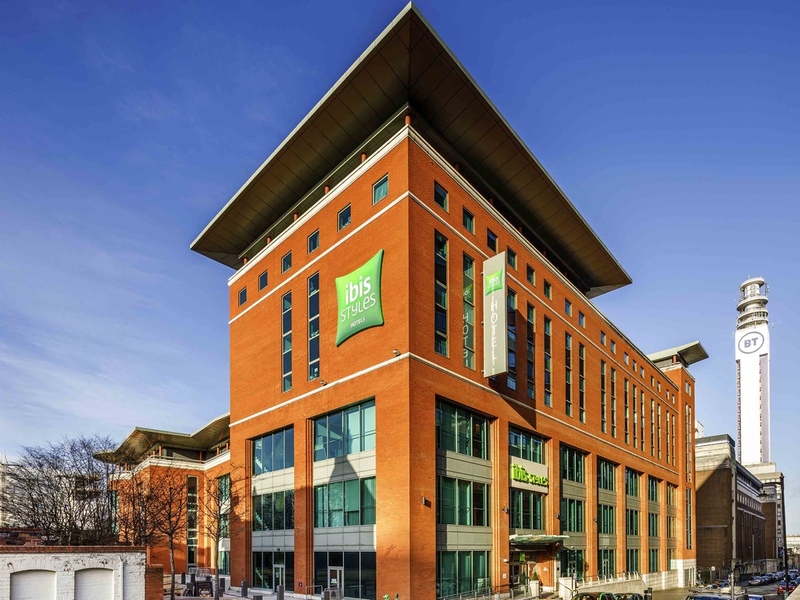 The hotel is located near the business and entertainment districts and a 10 minute walk to New Street Train Station. Check the tourist information page for upcoming events in the city. The hotel is located 9 miles from Birmingham Airport . Good location, clean basic room (had to ask for extra pillows), WiFi and complementary drinks and breakfast were a bonus. Great for the price. Only negative was that the advertised blackout curtain didn't blackout the room. The team here are fantastic. always friendly and welcoming and cant do enough for you. they are let down by the deteriorating standard of the rooms. the hairdryers regularly cut out as soon as you use them. Tiles in the bathrooms are cracked. bulbs are missing in the lights. bed side tables are missing in some rooms. the rooms need an overhaul. Really lovely! Basic hotel but what more could you want! Really surprised at how cheap it was for what we got! Breakfast was fantastic! And really loved that the coffee machine was available at all times! Many thanks for a fabulous trip away! Basic hotel, good location for business. Large bed. No bath, only shower. Cracked tiles in bathroom. Good free breakfast. As usual fantastic, but the receptionist telling me the printer was broken and she couldn’t print a bill was disappointing. I think she just wanted to e mail me one instead. Why not just tell me that ? You have more than one printer. Still no reading light and shower head still leaking. Plus double charged. I stay two nights most weeks at the hotel, normally in room 404. I have twice in the past two weeks reported a non-functioning reading light above the bed and a leaking showerhead attachment. Nothing has been done to fix these so far, more than two weeks after I first reported them (and more than four weeks since I first noticed them). In addition, Ibis has debited the money for this stay and for three upcoming stays twice: first in February when I made the bookings and now again in April. This amounts to some £400 being double charged. Although the double payments have now been refunded, this should simply not happen in a well run organisation. I spend some 75 nights a year in Accor hotels but if things do not improve quickly I will be looking elsewhere. Great value and got so much more than what I expected. Received complimentary cupcakes on arrival and once in the room. Beds extremely comfy. Nice facilities and big rooms. Nice and helpful staff. Great breakfast with lots of options and in a great location. Overall lovely hotel. A shame you have to pay for the parking though and ask for a room not opposite to the building work being done as very loud but of no ones fault. Hotel facilities are a bit tired and there were a number of maintenance issues. Have stayed at this hotel before. It has deteriorated in past couple of years. Not being maintained. The first room we were given was very tight. Only had one bedside table and one light did not work. This couldn't be fixed so we were moved. There were maintenance issues everywhere which were not fixed during our 6 day stay. Eg: Broken toilet in mens facility near the breakfast area and the only beer tap in bar not working. Hotel was quite expensive and not good value for facilities provided. First stay in an Ibis due to hearing negative reports from friends. however I was very surprised. The room was clean, staff were so friendly, breakfast was great, car parking very secure with lift directly up to reception, free drink in reception area to celebrate Ibis guests was a lovely touch. My only negative was the bed, which was too hard for my liking and I didn't get the best nights sleep, however this won't stop me staying here again. The staff were fantastic. They were so pleasant and helpful, they really are representing your company well. Please pass on this feedback to the whole team. The room was tidy. Staff were friendly and very welcoming. On arrival we were greeted by a very helpful receptionist. The room seemed to be for 1 person only as there was only 1 chocolate on the bed [soon sorted by reception]. The toilet roll holder was held on by only 1 screw [there was only ever one screw hole]. The room was reasonably clean and tidy. Breakfast was a little disappointing as the selection was poor. We were happy with our stay. The staff were helpful and friendly. The room was clean and pleasant. We enjoyed our breakfast and loved the on-site car park. All in all a good experience. The hotel had all basic facilities and was very clean. Breakfast was satisfactory, with lots of choice, and I would definitely stay again.